The TENS is a device that works on a very simple principle – muscles react to tiny, safe jolts of electricity. The electrical current stimulates and heals nerves and cures a wide variety of nerve conditions. Chiropractors, for example, often use the TENS, as this device can bring incredible relief to aching areas of the body, especially the lower back area. A low voltage current is used to stimulate the nerves, in order to provide pain relief. Soothing vibrations pass through the skin (they don’t actually pierce the skin, of course, the TENS works similarly to an EKG machine) by using pads which are placed on the skin itself. These devices are battery-powered (this type of device is usually plugged into a 120V outlet) and between 2 and 4 electrodes are commonly attached to the area needing treatment. 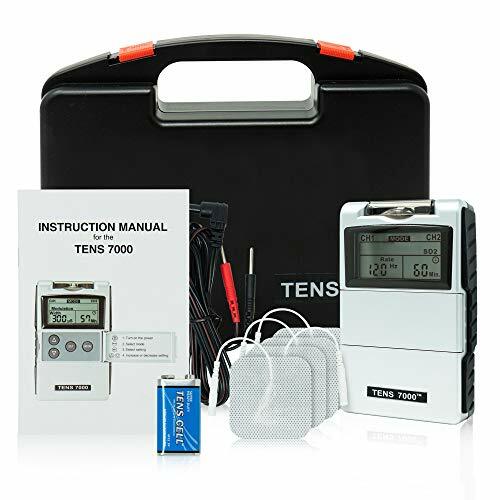 The TENS also regulates frequency, which basically means that it contracts and relaxes muscles continually, which directly helps our brains produce the “natural painkiller”, something called endorphin. The great thing about TENS units is that they’re portable, mobile and practical. You can carry them everywhere and simply apply them to painful areas of your body whenever you want. 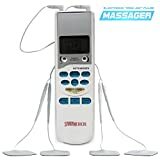 Doctors, massage therapists, fitness coaches, chiropractors all use these devices and recommend them to their patients or customers for individual home use. TENS devices are highly efficient for pain relief, but they don’t have any negative side effects like painkillers do. 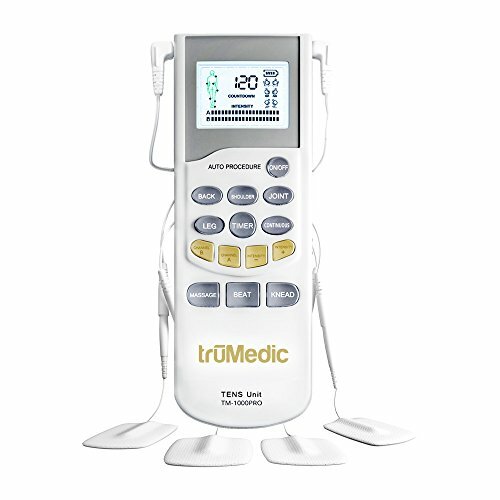 The trūMedic TM-1000PRO Deluxe is an incredibly powerful, high-end TENS unit that provides pain relief for virtually all muscles in your body. This unit offers a wide variety of functions, modes and programs and, at the same time, manages to stay extremely user-friendly. The LCD display is crystal clear and easy to read. Intensity and speed can be effortlessly managed and adjusted as per your needs. All buttons are clearly labelled in English and the unit can be easily controlled. 4 electrode pads, two electrode lead wires, a USB wire and an A/C adapter are included. The device itself is practical, small (dimensions: 6 x 1.8 x 0.5 inches) and lightweight (weighs just about 4 ounces). 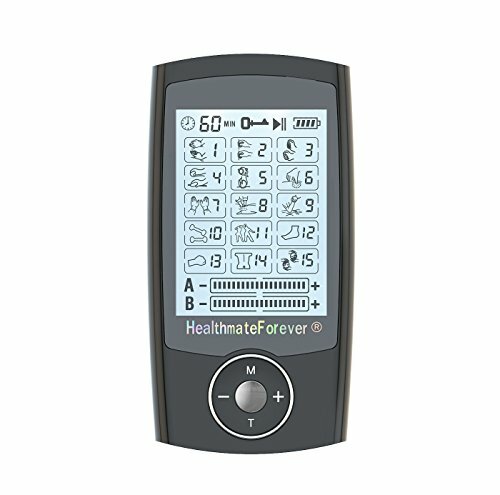 The FDA Cleared HealthmateForever® TENS Unit Pro12AB is one of the best TENS units available on the market today. 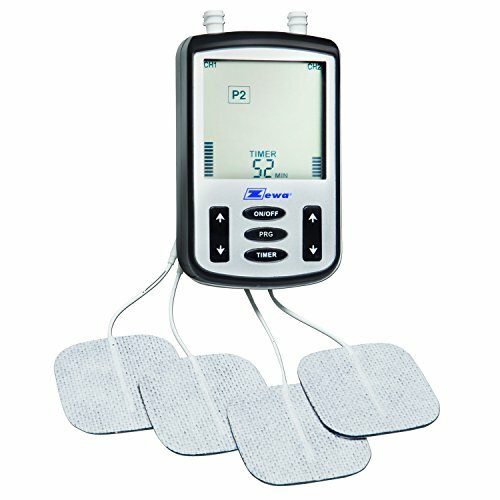 This gadget has 12 modes for powerful therapy and great pain relief. 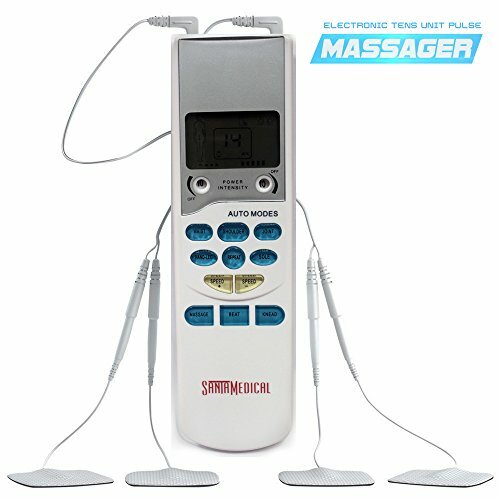 What separates this unit from all the others is its unique ability to treat different muscle areas at the same time. The LCD display is clear and crisp and a long-lasting lithium battery is also included with the unit, as well as a wide variety electrode wires and pads. The HealthmateForever is the perfect alternative for medication and the best possible substitute for a massage therapist. On top of that, it is FDA approved, which pretty much means its 100% safe to use and no negative side-effects can be expected. 20 levels of adjustable strength and intensity settings and a user-friendly design are a guarantee that this multi-purpose device will help anyone suffering from mild to severe pain, anywhere on the body. Zewa’s SpaBuddy Sport TENS Pain Therapy is the perfect TENS unit for fitness enthusiasts and can serve as a personal massage therapist to those of you who like to remain physically active and are looking for ways to avoid and eliminate pain. It can be used anywhere on the body, except on the head. All that you need to do is place the electrodes on the area that causes the most pain and you’re set. This unit will provide you with pain relief when you’ve overworked your muscles in the gym or after any other physically demanding activity. 8 computer-controlled programs are included. It’s recommended that you start with low-intensity programs, just to see how the device operates and how it affects your body, then you can move on to the other ones. However, even if you go too far and things get too intense, there is no need to worry, as there are no known side-effects from using this device. An LCD display is easy to read and provides valuable insight to the user and the entire device is solid and well-built, so it shouldn’t get easily damaged, which means it’s perfect to carry around and use at work or while travelling. The Zewa SpaBuddy Sport TENS is FDA approved and regularly sold over the counter. 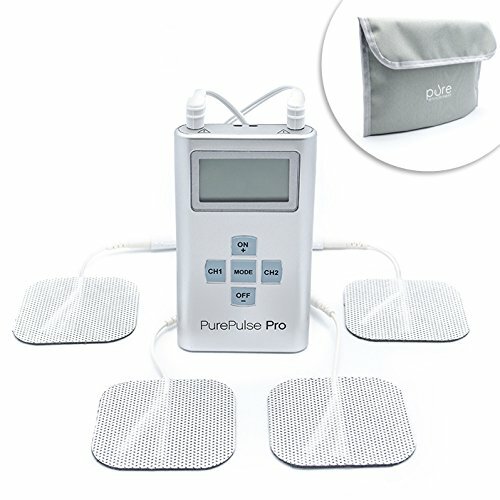 The PurePulse Pro Advanced TENS Unit Muscle Stimulator is a powerful TENS unit that can easily replace your massage therapist. This device is perfect for treating sore and painful muscles and perfect for relieving pain in your neck, lower back, shoulders, legs, feet, arms and waist – essentially you can use this device everywhere except on your head. Another conveniently portable TENS unit, the PurePulse Muscle Stimulator is great to relax at home after a long day at work, but also perfect for those of you who tend to travel a lot. This product has 8 programmable therapy functions available, which can be selected by using the simple LED screen. 4 electrode pads, three AA batteries, two connector leads and a convenient storage bag are also included. 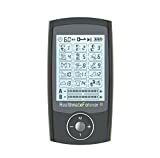 A concise user manual, which contains 5 defined program modes, is included with the product. They are, as follows: Normal Mode, Burst Mode, Modulation Mode and two types of The Strength Duration Mode (SD1 and SD2). These different modes are there to ensure maximum pain relief, as you can switch between them until you feel better. 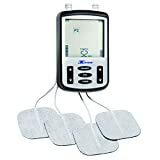 The LCD display shows the massage style, as well as intensity and time taken to complete the massage. 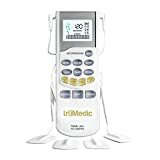 This unit has 6 automatic stimulation programs and a handheld controller is also included, as well as 2 sets of 4 electrodes with attached pads. A practical charger and a USB cable are there to ensure mobility and make this device practical and easy to use. The Santamedical™ TENS Unit is small (dimensions: 1.0 x 0.3 x 6-inches) and light (just a little over 5.3 ounces) and therefore the perfect portable, budget-friendly TENS unit. Offering both TENS and Powered Muscle Simulator, this small device will barely make a dent in your wallet. Follow the ‘related products’ link on Amazon if you want to get a pair of specially designed massager shoes with it! We hope you found this list useful, and we wish you great pain relief with your new TENS unit!